Kid Lid founder Matthew Mogol on the company, its keyboard guard and its kickstarter campaign. In a society deeply dependent on technology for nearly every aspect of life, it’s no surprise that children today are growing up with laptops and tablets the way older generations grew up with building blocks and puzzles: as everyday tools not only meant for playing, but for strengthening developmental skills as well. Matthew Mogol’s daughter, Penelope, is no different. She took a liking to dad’s laptop at a very young age, and while Mogol says she loved what she was seeing on the screen, she was often distracted by the keyboard. “She would bang on the keys and end up closing out of the movie or program she was interacting with,” says Mogol. 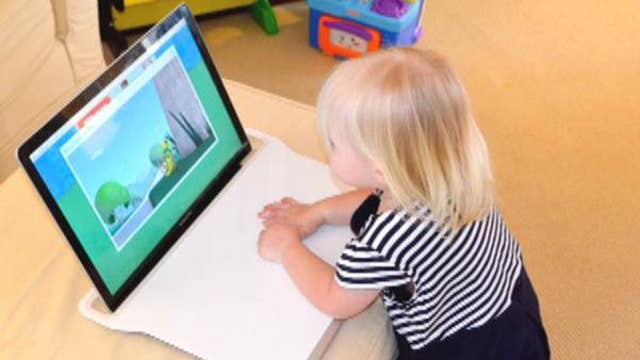 That’s when the dadpreneur took it upon himself to find a solution to allow Penelope to get a more “authentic experience” with the content on the laptop. First, he tried covering his keyboard with magazines and other makeshift shields, but nothing did the trick. So he created what is known today as the Kid Lid, a plastic covering that fits over the keys. He emphasizes that the Kid Lid is not meant to “act as a babysitter,” but as a way to encourage self-mastery at a young age. “When I started using the Kid Lid, I found I wasn’t saying no as much,” says Mogol. Instead, he found that his daughter was having more meaningful experiences with the laptop. Often on the go, Mogol says other parents took notice of the Kid Lid and encouraged him to take this “product of necessity” as he calls it, to the next level. Mogol patented the Kid Lid and is now looking to raise $17,500 on Kick Starter to buy the appropriate molds to mass produce it. He said the feedback has been positive so far, and that he’s humbled by the interest shown in the Kid Lid. According to Mogol, the Kid Lid will be available for purchase by October on kidlid.com. Mogol says he is also in talks with big-named retailers, and hopes to have his product on shelves soon.